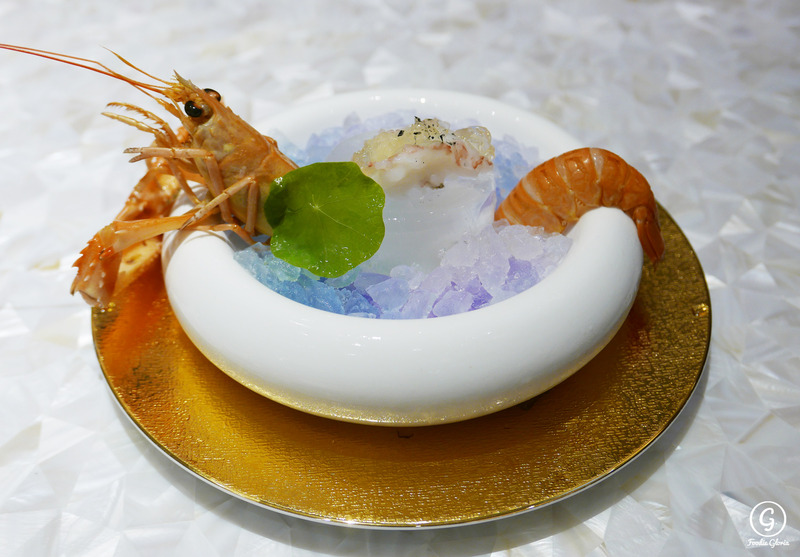 Heard that Dong Lai Shun has opened a new branch at Soundwill Plaza II, Causeway Bay and it is located on high floor. Thinking about having a nice dinner with beautiful view of the night, how can I miss it? 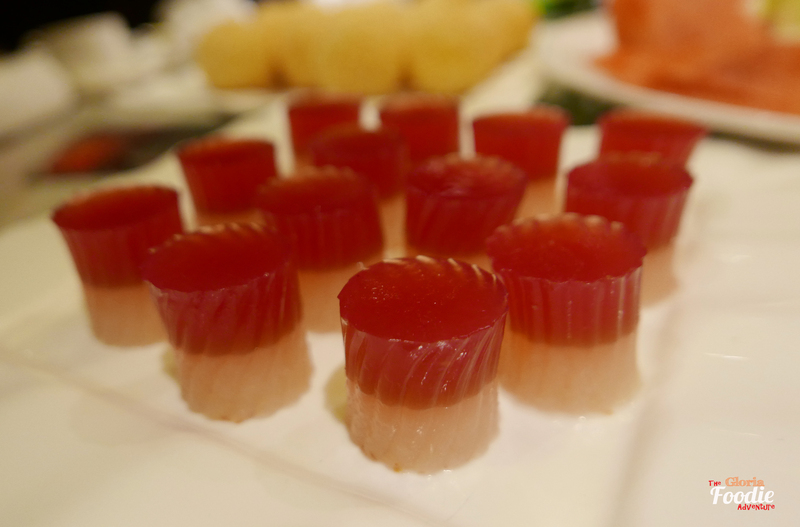 So glad to come with a group of friends before CNY and try some festive dishes. 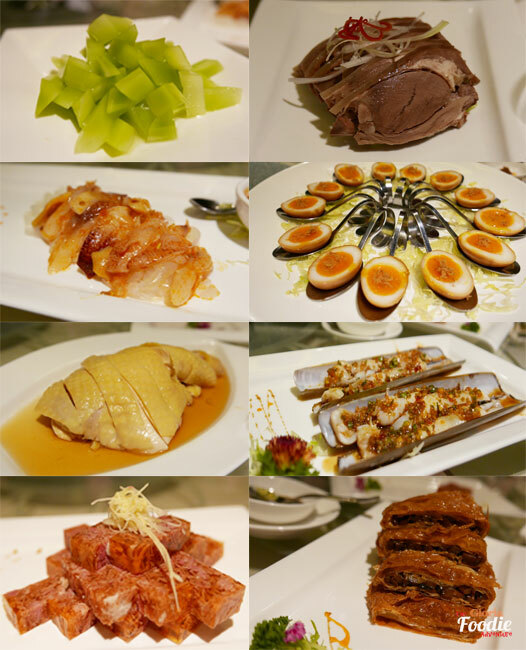 The 8-dishes appetizer, which included Crystal Lamb, sliced Geoduck with sesame oil, sliced lamb with chilli oil, Green tea smoked eggs, razor with Sichuan sauce, cool chicken with rice wine, bamboo shoots salad and veggie bean curd rolls. The sliced geoduck with sesame oil was my favorite, since it was so tasty with the fragrant sesame oil and has a slightly crunchy texture. Razor with Sichuan sauce was quite spicy but the sweetness of the razor was well preserved. 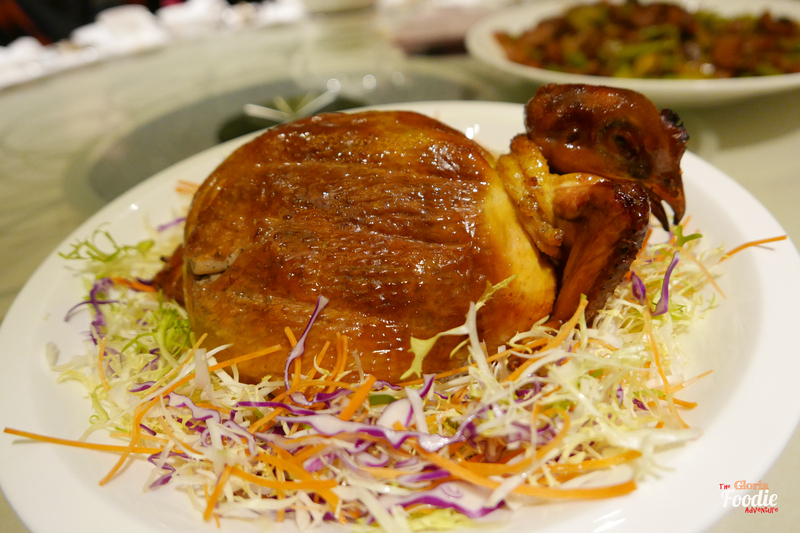 Cool chicken with rice wine was worth to try as well, since the chicken was smooth and the rice wine smelled so tempting. 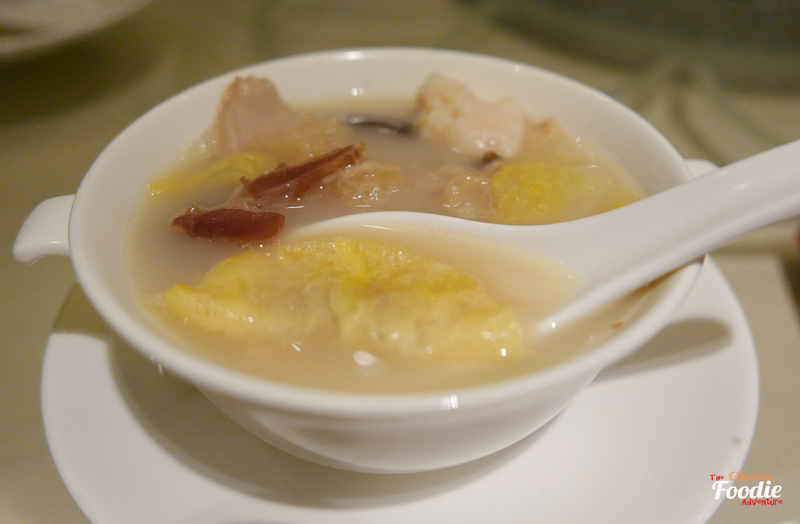 The soup, which contains the rich flavour of nice dried seafood, such as sea cucumber, fish maw, and egg dumplings, has a very tradition name about good fortune and wealth for the family. It was an excellent soup without a single drop of oil. 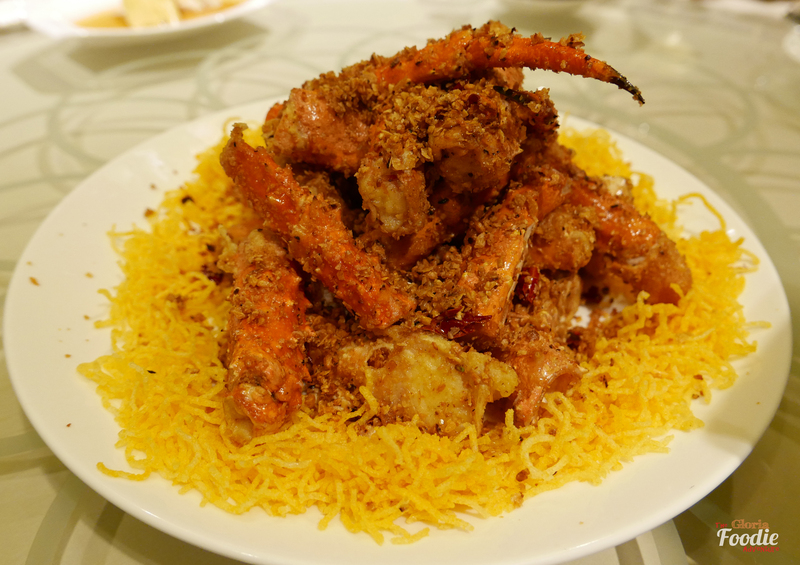 In a reunion dinner before CNY, so lucky to have Chef Chan to show off his nice skill and cook the stir-fried Alaska crab legs with cereal and garlic. 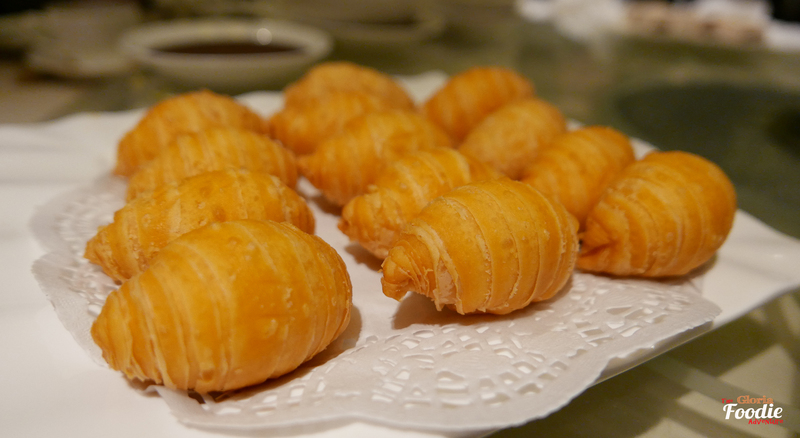 Chef Chan demonstrated the procedures, stri-frying and saying some lucky auspicious sentences to us. 🙂 The crab meat was so juicy and sweet. 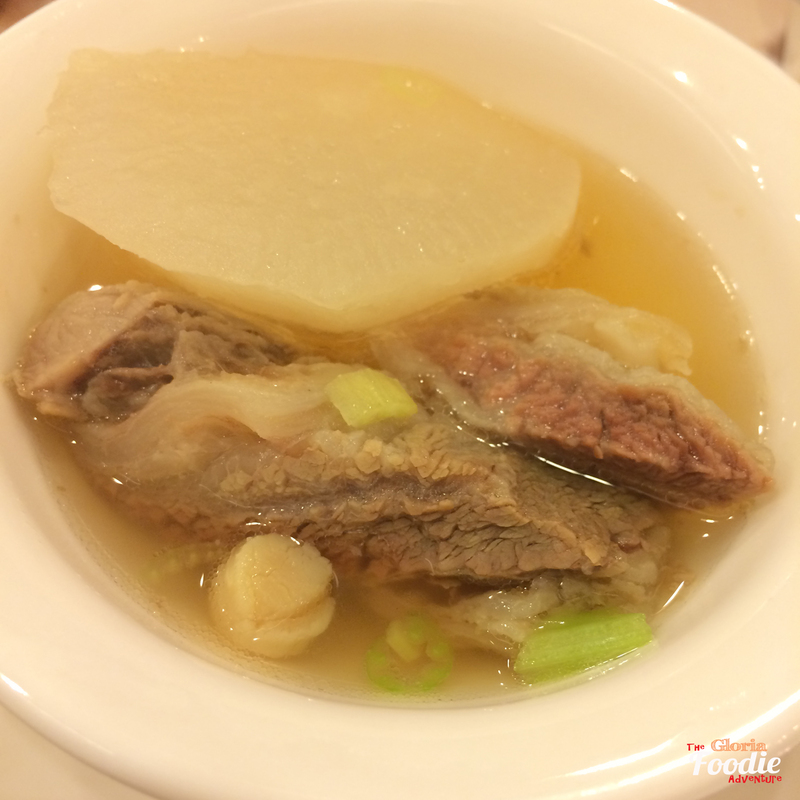 After a few dishes with strong taste, 2 dishes with mushroom were followed to recover the taste. Roasted chicken with mushroom fillings was one of my favourite of the night, as the mushrooms absorbed the juice of the chicken. 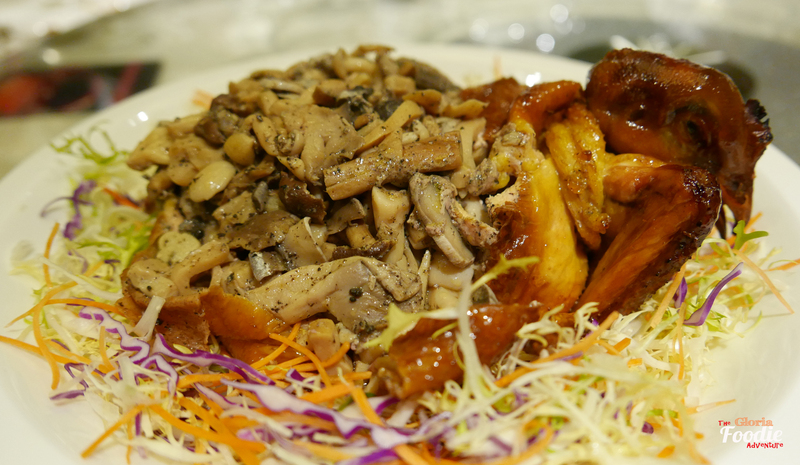 Even without meat in the chicken, the mushrooms still gave us a fresh and meaty feeling. If you visit Dong Lai Shun, you would never miss their lamb dishes. 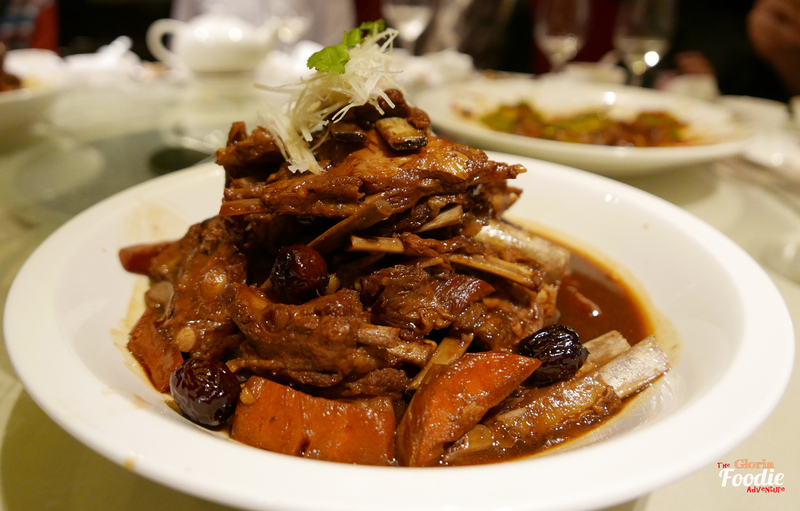 Braised lamb chops with Lianshi sauce was booked to the level that bone and meat separated. It was so loose but the meat and the vegetables on the side have absorbed the best of the sauce. We all were so looking forward to the handmade noodles with lamb. 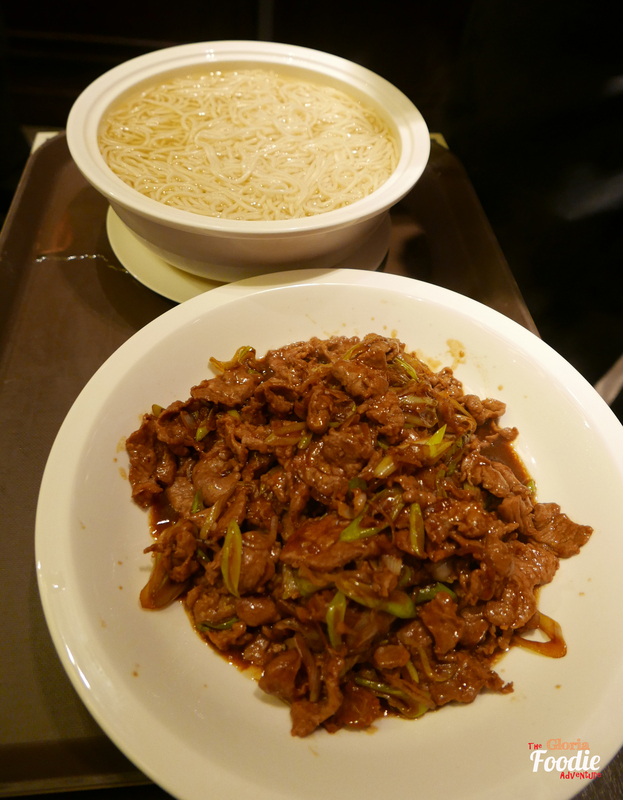 Lamb was so rich while it was perfect to pair with the noodles with light soup. Felt not enough to only have one bowl of noodles. 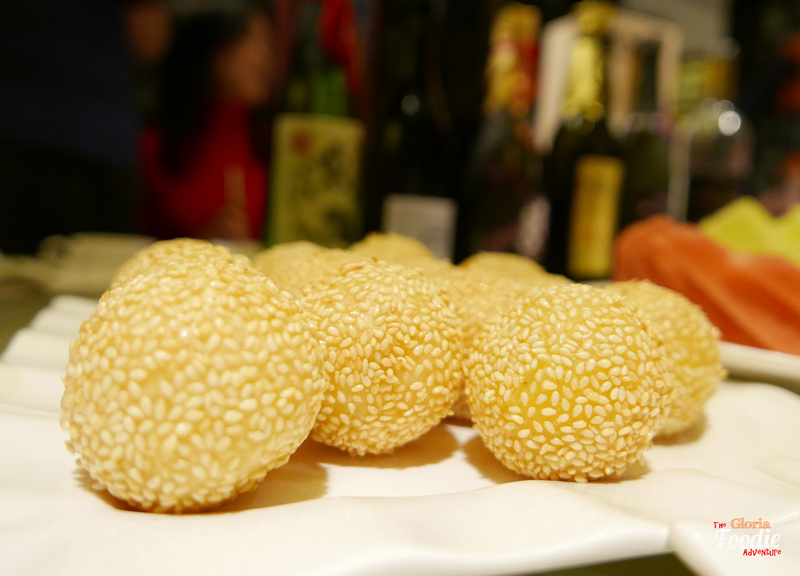 The night finished with a spectacular selection of dessert, including deep-fried sliced turnip, lychee pudding, molten egg fried dumplings, steamed pea and bean rolls with bean paste stuffing. 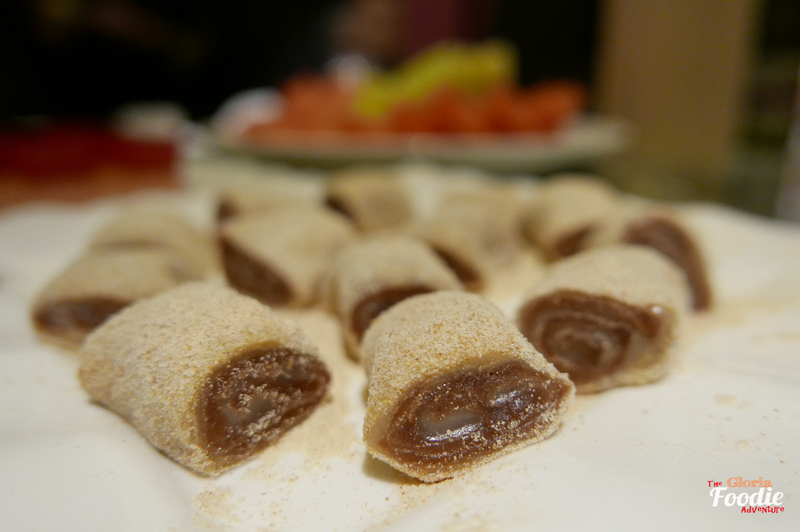 Everyone has its characteristics but the softness of the steamed pea and bean roll and the sweetness and crispiness of the fried dumplings made them them the best two. 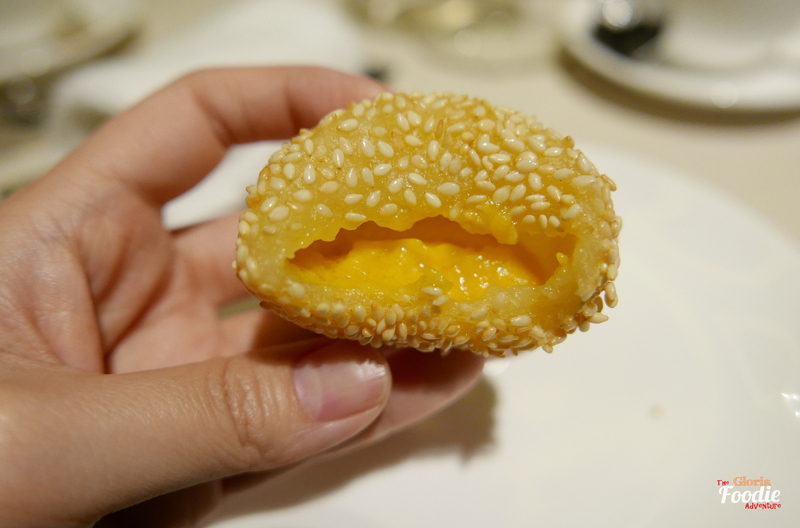 Dong Lai Shun is always the restaurant that is worth to return with its good standard.